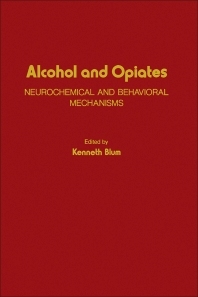 Alcohol and Opiates: Neurochemical and Behavioral Mechanisms contains the proceedings of the 1976 conference, ""The Neurochemical and Behavioral Mechanisms of Alcohol and Opiate Dependence"", held in New York. The papers focus on the commonalities and distinctions of alcohol and opiates in terms of neurochemical and behavioral mechanisms. It also highlights key research findings on alcohol and drug dependence as well as advances in the understanding of opiate neurochemistry and the nature of alcoholism. Organized into two sections comprised of 22 chapters, this compilation begins with an overview of the various techniques used to produce and to measure alcohol dependence using animal models. It then discusses the neurochemical components of ethanol dependence, the pharmacogenetics of alcoholism, and the effects of alcohol on behavioral performance. The remaining chapters examine the pharmacology of isoquinoline alkaloids and ethanol interactions, the neurochemical aspects of opiate dependence, the pharmocological heterogeneity of narcotic receptors, and the pharmacology of endogenous opiate-like peptides. The book also introduces the reinforcement of behavior by morphine injections and the metabolic stereospecificity of opiate agonist and antagonist drugs. It concludes with an assessment of future research directions concerning opioid peptides (endorphins). This book is a valuable source of information for those seeking to build clinical programs designed to alleviate the sociological and medical ills associated with alcohol and opiate abuse and drug dependency.